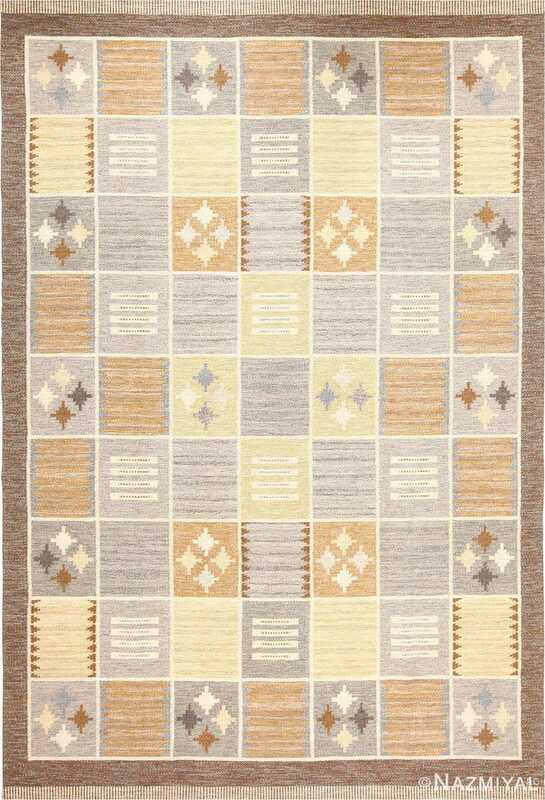 Antique Scandinavian rugs like this are renowned for the striking abstract geometry of their design. Beautiful Room Size Vintage Mid Century Scandinavian Swedish Pile Rug , Origin: Sweden, Circa: Early 20th Century – Vintage and Mid Century Scandinavian rugs like this are renowned for the striking abstract geometry of their folk art design. Initially inspired by Turkish rugs in the middle ages, they developed an ornamental vocabulary at times reminiscent of Navajo blankets. 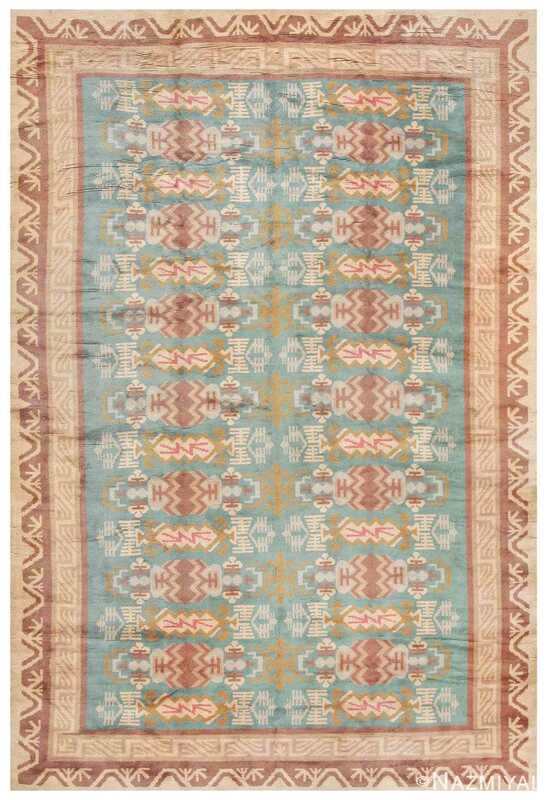 This vintage rug features abstract angular cartouches arranged in two parallel vertical columns repeat against an aqua turquoise ground. Dynamic stylized vine-scroll borders in tan and aubergine frame the entire composition of this beautiful vintage mid century modern room size Scandinavian Swedish pile rug. 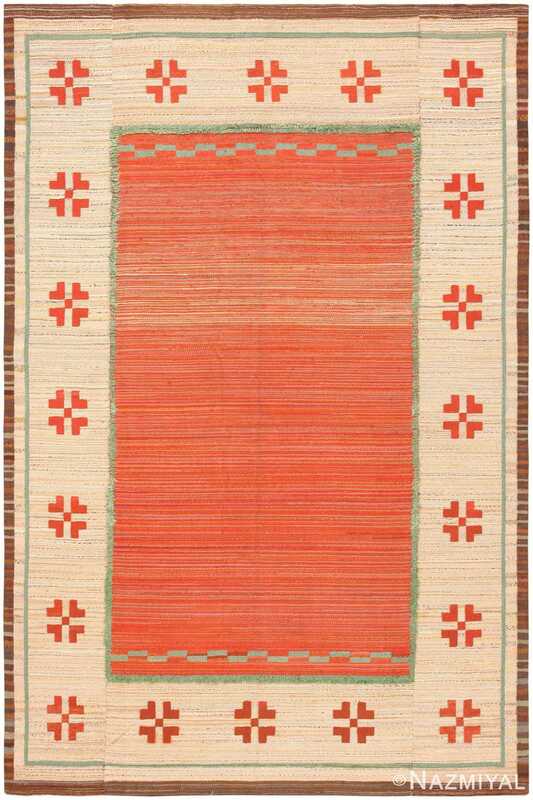 Pure and simple, this definitive vintage Swedish kilim showcases a dazzling border-focused design with variegated stripes and charming tufted pile accents. 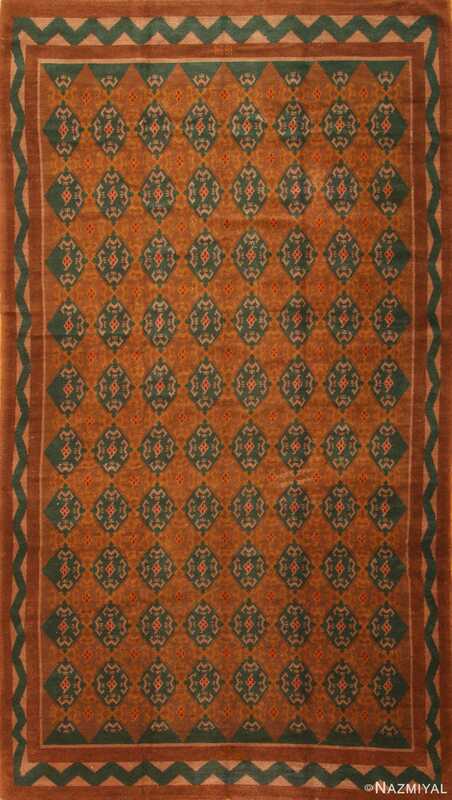 This extraordinary Art Deco Finnish Arts and Crafts carpet with its striking design of allover medallions harks back to medieval Scandinavian textiles.